RED and GREEN oh my. I am preparing for my teaching schedule for the fall. I am dyeing my fabrics to make PEACE a fused wall hanging. I will be teaching this class three times in the next few months. 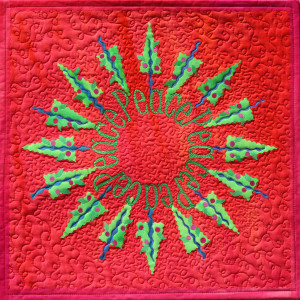 Twice in Madison WI at The Quilting Expo in September. And once in November at IQF in Houston. 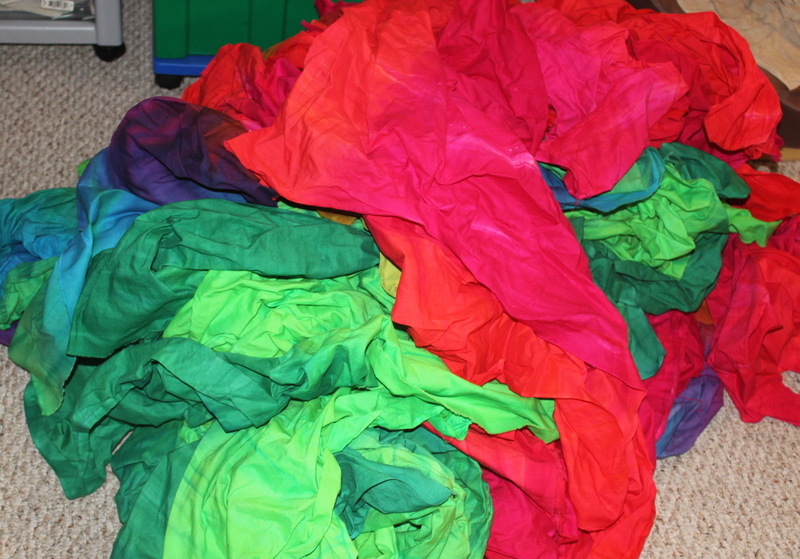 This is the pile of fabrics that must be ironed and fused for all three classes. What a pile huh. I don’t know how many yards are in this pile but I can tell you I have been dyeing for several days. 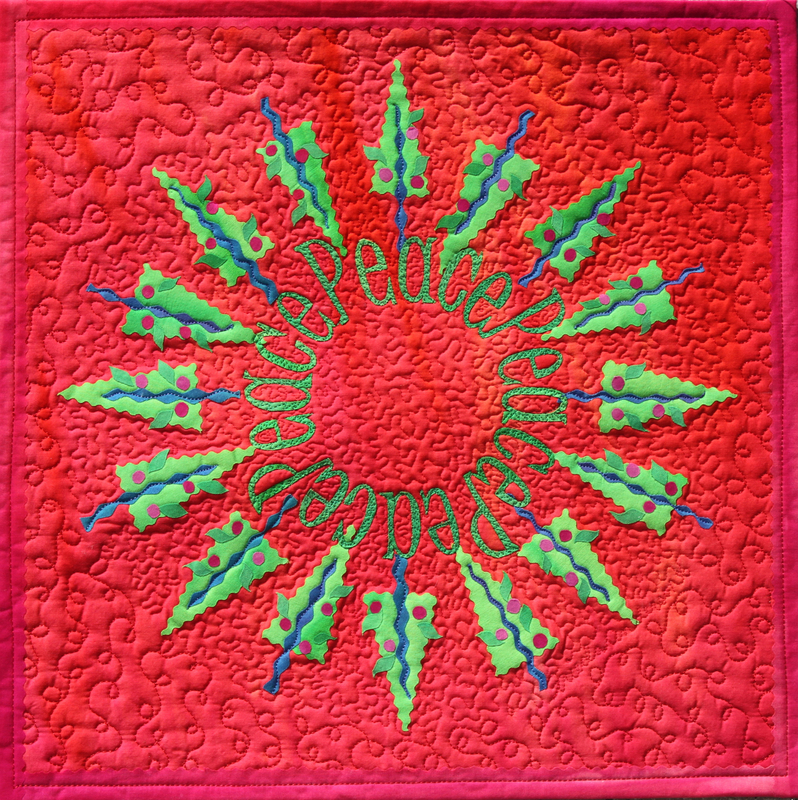 Who ever guesses the correct number of yards in my pile will get …….a yard of the gorgeous red/fuchsia – I call this Winter Red – dyed fabric that is the background of this festive piece of art. I will send the lucky winner your yard in two weeks, so keep guessing. Next Friday August 8th I’ll announce the winner. 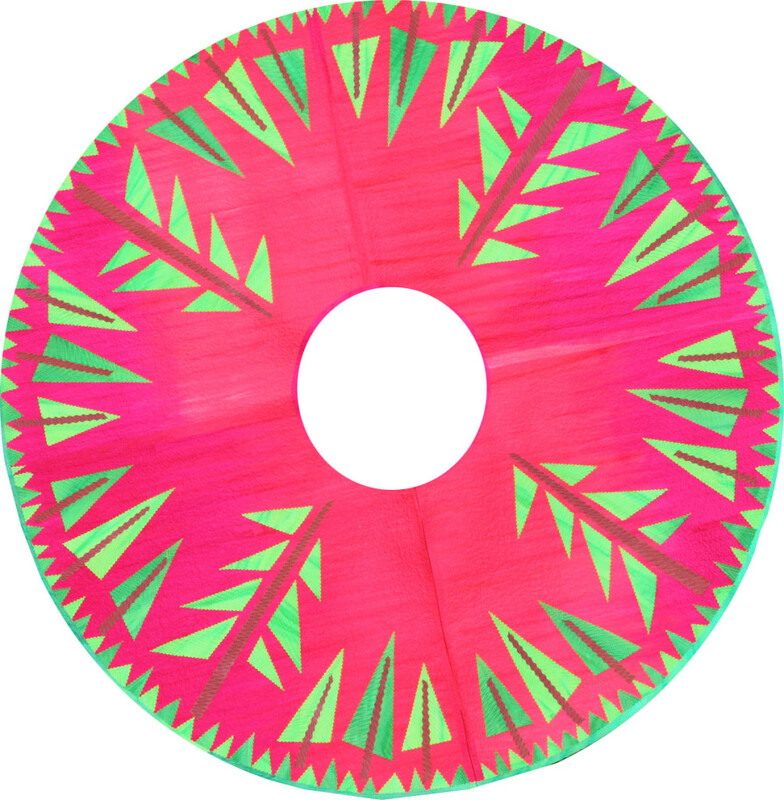 PS my Christmas tree skirt pattern which is 60″ round, is made in a very similar manner as PEACE. Hmmm. My guess is 26 yards. I’m guessing 33 yards. Fabric looks beautiful. Happy ironing. I guess 27 yards and they all look GORGEOUS!!!!!!!! Looks like a good twenty yards to me. I guess 53 yards. It’s lovely!